Silverstack provides a full screen mode. It can be used in both single and multi monitor setups. To enter full screen, press ⇧⌘F or choose “View -> Full Screen” from the Silverstack menu. Please note that you have to be in either the list,collection or player view. When in Full Screen you can access the timeline by moving the mouse cursor to the bottom of the screen. You can hide the timecode HUD by clicking the small x in the top left. You can show it again, by choosing “View -> Show Timecode HUD” from the menu. 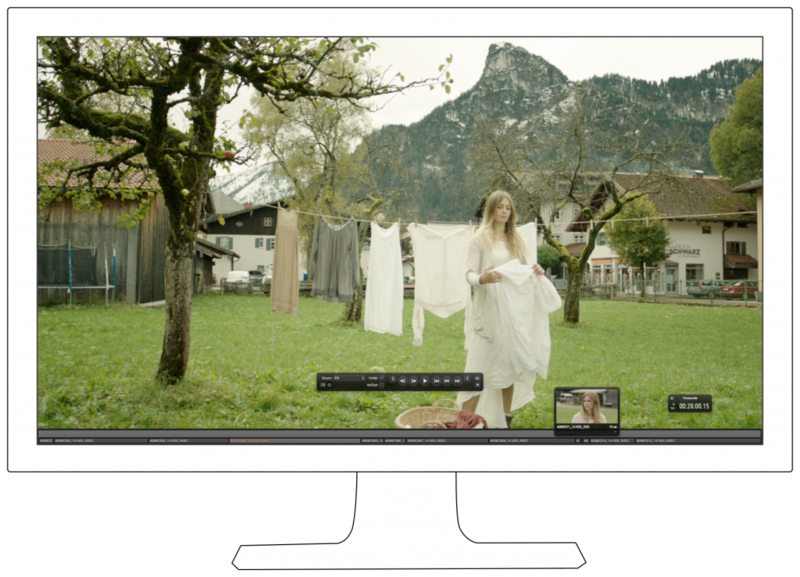 In single monitor setups the full screen mode hides all other user interface elements and only shows the clip and some overlays. When you have more than one display attached to your Mac you can display the clips full screen on one screen while you can browse the Silverstack library on another one. 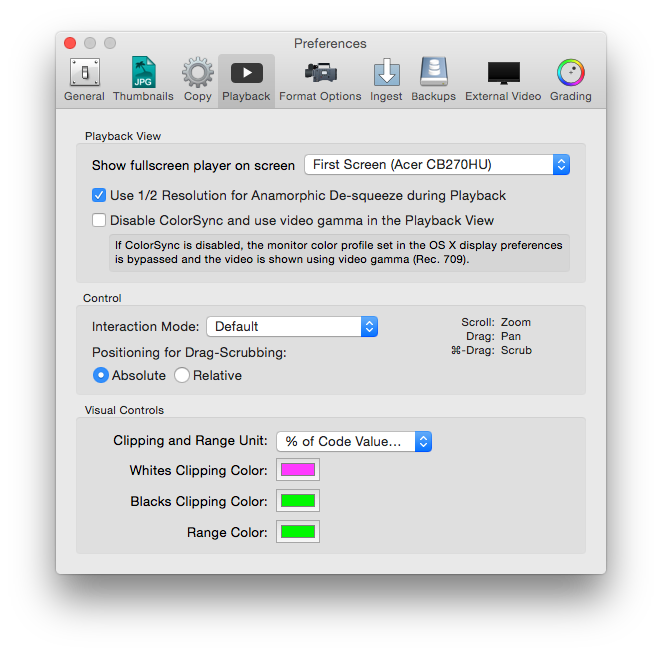 Additionally, you can mark the «Disable ColorSync and use video gamma in the Playback View» for further color accuracy in the Rec.709 color space. Silverstack also comes with HD-SDI output to play out ingested clips in best quality for QC on an HD-SDI monitor. The current clip in the player gets mirrored to the HD-SDI output showing the image in full-screen and 10 bit color depth. For more information, please check the article HD-SDI Output in Silverstack.